ZarLab goes to Vancouver for ASHG! 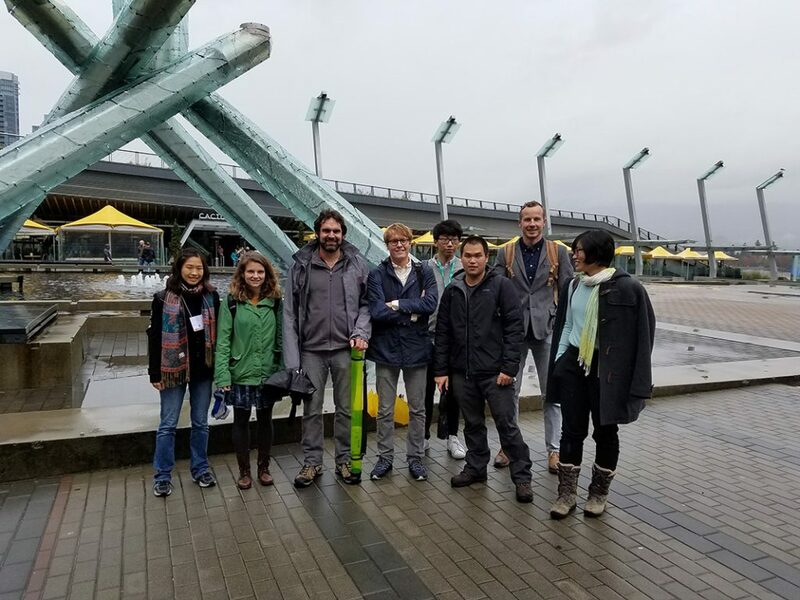 Last week many members of our group traveled to Vancouver, British Columbia, for the annual meeting of the American Society of Human Genetics. The 66th Annual Meeting, which took place October 18-22, 2016, featured over 3000 talks, workshops, and poster presentations on topics such as bioinformatics and computational methods, developmental genetics and gene function, cancer and cardiovascular diseases, evolutionary and population genetics, and genetic counseling. Recent alumni Farhad Hormozdiari received a Reviewers’ Choice ribbon for his poster titled, “Joint fine mapping of GWAS and eQTL detects target gene and relevant tissue.” Only the top 10% of posters by topic receive this honor, as determined by the reviewers’ scores of the submitted abstracts. Congratulations, Farhad!